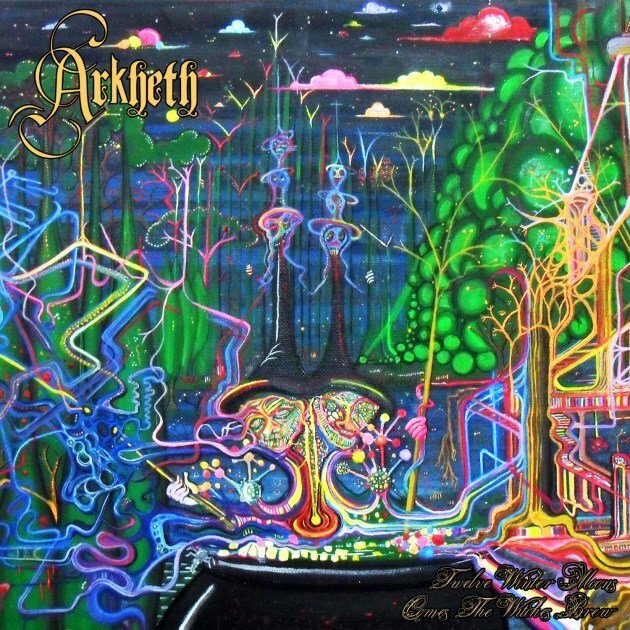 There is something very magical and mysterious emenating from the unique and eclectic sound that is Arketh. It is not everyday that one stumbles across an album this interesting and infectious. At the core this is an Atmospheric Black Metal release but it crosses into a very experimental territory, shall I say Avantgarde? The first aspect of this album that may throw one for a loop is the use of the saxaphone throughout the songs, this creates an almost quirky vibe but one that works in perfect synchrony with the music. The work of Saxaphone player Glen Wholohan presents a layered execution of jazzy melodies only adding to the strange yet catchy sound. I also give credit to Vocalist Tyrone ‘Tyraenos’ Kostitch executes his craft perfectly, blending his various shrieks and wails into a bubbling cauldron of fantastic musicianship. Picture being led into a strange place, one you have never been to before and you are instantly under the influence of some otherworldly power, perhaps a witches brew? The opening track feels like a trip into the unknown, an almost tangible presence graces the ears. Once this brew has been taken the next few songs are the aftermath, a maniacal journey into oblivion. Aside from the familiar Black Metal elements this album also harnesses some Progressive elements which kind of remind me of Ihsahn’s solo material, not to make comparisons but there are some familar aspects. All in all this album is stellar and fans of extreme metal should open their ears to this creation, I dare you to delve into the Witches Brew!